Awesome Daily News headline yesterday (after the Nationals beat Cole Hamels): "Nats Sting Cole"
Yes, kindness counts, and if you don't believe us we'll send a rocket at ya!!! I'm not necessarily of the mindset that you have to give teachers presents, but I'm also not averse to ingratiating myself (and by extension my child) in their minds. Plus I enjoy making presents. Plus I adore his teacher this year. She's leaving to go to Harvard (on a full-freight scholarship) to pursue her PhD. If I had a million dollars, I'd make her stay at his school and move up each year to keep teaching him. I also got to make a trip to the bead store across the street from the store to pick out red sparkly beads, which I will sew into the middle of the roses. Not because I have to. Because I want to. Because she is worth it. Because she told me in a parent-teacher conference that she "can't get enough of Gus!" Here's a stupid customer service story: I went to the bead store for a different project recently. All they sell is beads. So I pick up a tube of beads (one of the standard sizes of seed beads) and ask the girl behind the counter, "How many beads are in this tube?" She says, "I don't know." Okay, so maybe they don't get exactly the same amount of beads in each tube, and she's afraid I'm a lawyer and I'm going to sue her for fraud so I say, "Not exactly - just a ballpark figure." And she says, "I really don't know." I look at her disbelievingly (because they must have hundreds of these exact same beads in the exact same size tubes and it seems like sort of an obvious question since bead patterns and knitting patterns give exact numbers of beads needed....) and she gestures across the store and says, "There's a string of the beads from one tube." And I say, "Well, I'm using them in a knitted shawl. The pattern calls for 600 beads." And she says, "Well, then two tubes should be enough." WHAT??? How do you know two tubes are enough when you don't know how many beads are in a tube??? So I buy them and take them back across the street and dump the contents of one tube out and count the beads. There are approximately 420 beads in a tube. So she was right - but why in the world was she so stupidly cagey about it? And if they really don't know how many beads are in a tube (even approximately), why don't they take the 10 minutes it took me and count them? I can't believe I'm the first person who's wanted that information!! 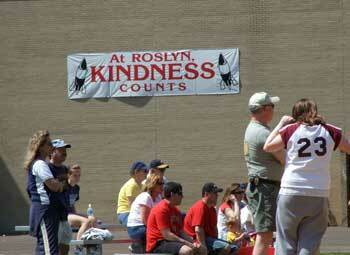 Are the Roslyn Kindness rockets like the Jenkintown Easter missiles? Wa ha ha ha!!!! 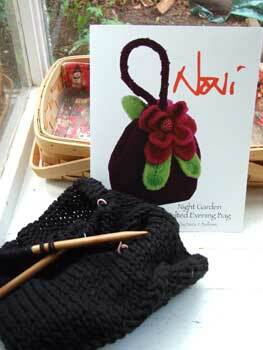 Does that pattern really say Noni? Like my Aunt Noni, your grandmother? Cosmic knitting connections now? looks like you were having some fantastic fun. 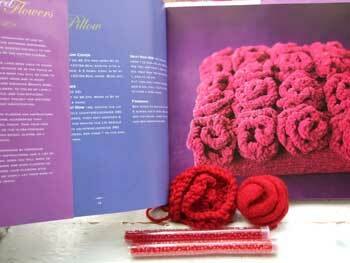 i'm having fantastic fun trying to figure out what pattern to use for this yarn! should i choose from a gathering of lace? or another cap shawl? ah well...but i'm still in awe that i got this for free! and the liver offer still stands...with a latte on the side, of course. jjp - enjoy the magical electric blueness!!!! Bring on the latte - hold the liver, please.